Hello! 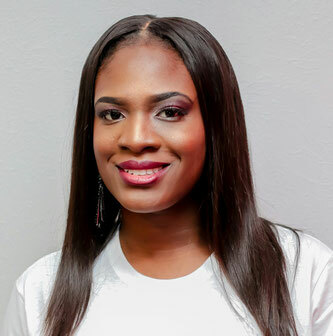 My name is Dorcas Kemi Oladimeji and I am the owner and head planner of Kemistic Weddings and Events. Like many little girls, I dreamed of my wedding every day! I actually started planning my wedding as a young teenager. After meeting my prince charming and planning my own wedding, I fully became aware of my passion for planning events. After my wedding, I really got into event planning and helped to plan birthday parties, baby showers and weddings for friends and families. In 2015, I made it a goal to become a certified wedding planner before the year ended, which I accomplished! I am a Jersey girl living in Dallas-Fort WorthTexas. In 2012, I said I do to my wonderful husband and we are blessed with a beautiful daughter. I love spending time with my family and friends and seize every opportunity to be with them. I’m a lover of fitness, good food and music! My other passion is working with children (I have a MSc in Early Childhood Studies Administration and Management) so children's events are my second favorite after weddings! I truly enjoy planning and I'm fulfilled when I see people happy on their special day. 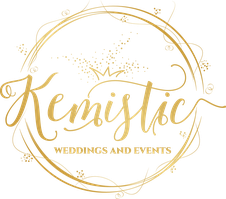 Let Kemistic Weddings and Events help you plan the event of your dreams!